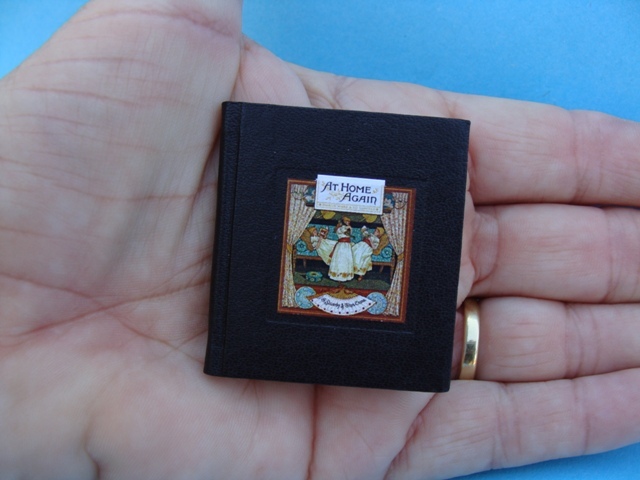 These are books I have made intended for Miniature Book Collectors NOT IN DOLLSHOUSE SCALE. 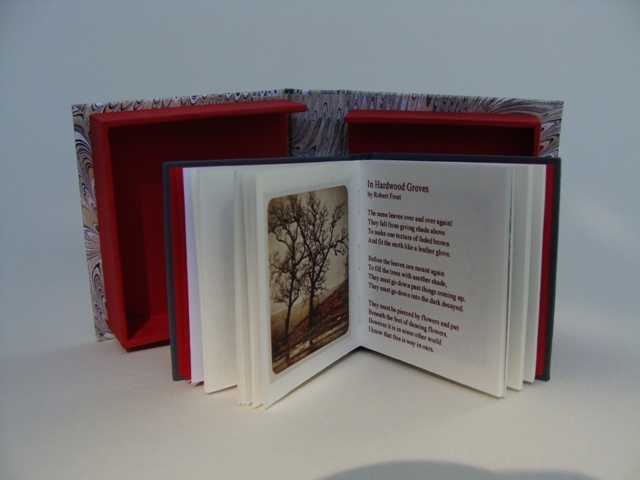 These are limited editions of 36 books, available in a special De Luxe Collectors' Edition Presentation Boxes. 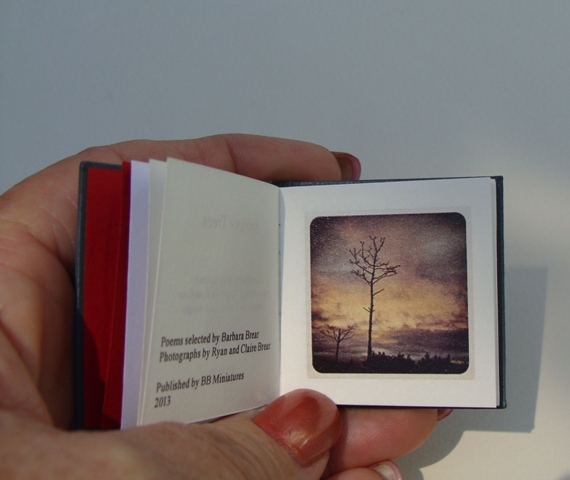 My latest book is Spirits of Trees. 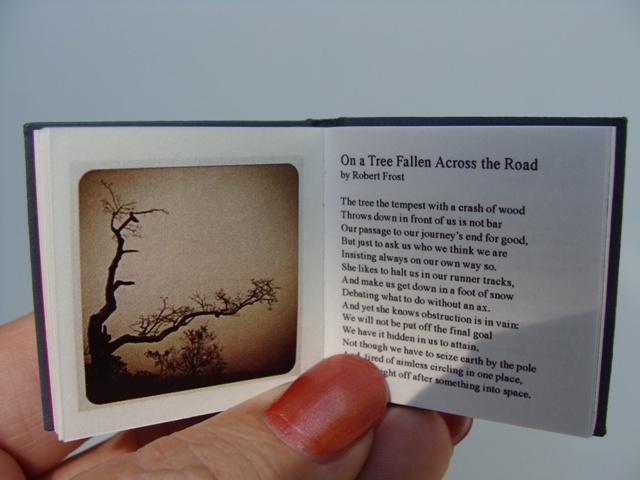 It features photographs and my favourite tree poems, many by Robert Frost but other poets as well. 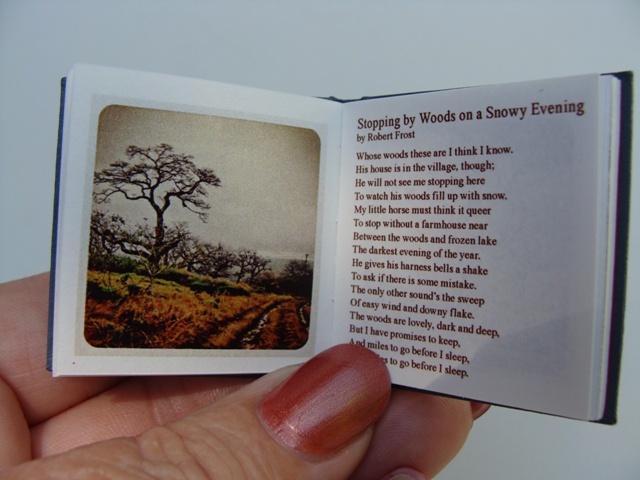 The printing is crisp and easily legible and the font colours tone with the opposite photo. 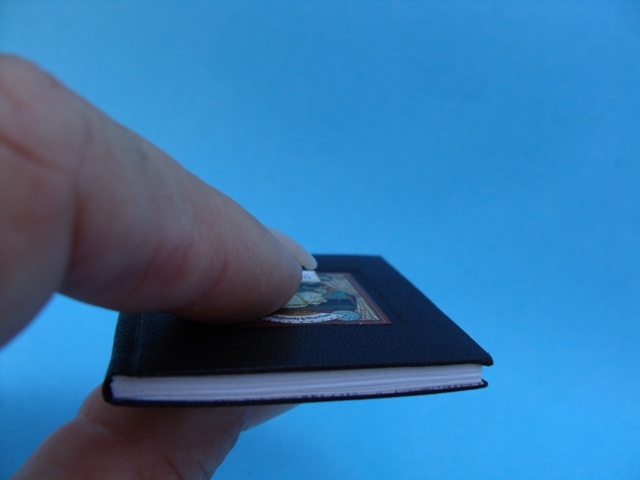 The colour of the leather cover may vary from that shown in the photo. There is a cut out of a tree outline embedded into the leather. 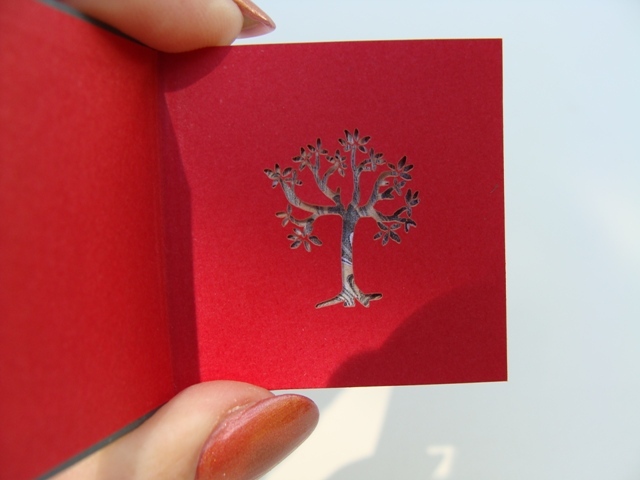 The front end papers have a tree cut out which reveals the marbled paper underneath it. Each book is numbered and signed. 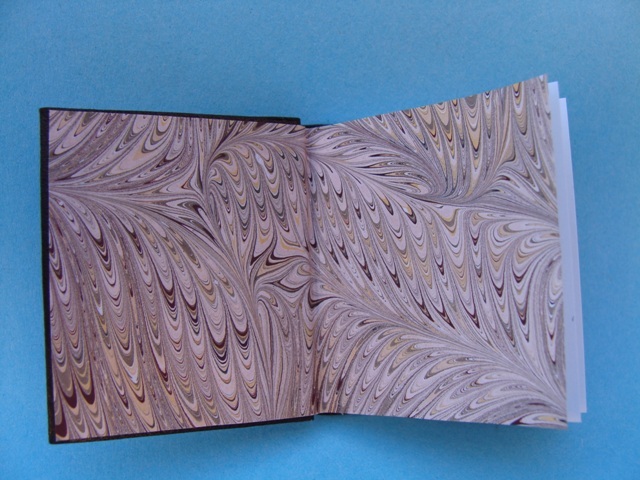 The marbled papers used for end papers were made by Jemma Marbling in the UK. 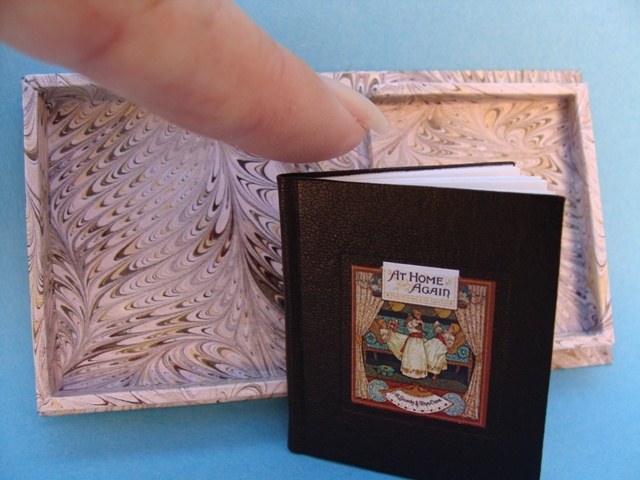 and the same marbled paper design is used for the presentation clam-shell box. The book alone is $40 US. The De Luxe Collector's Edition with presentation clam shell box is $70 US. Payment by PayPal. 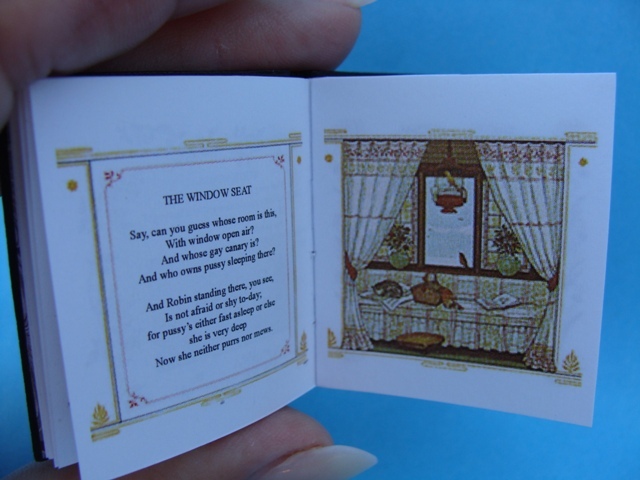 This next book is Victorian Children's Poetry. 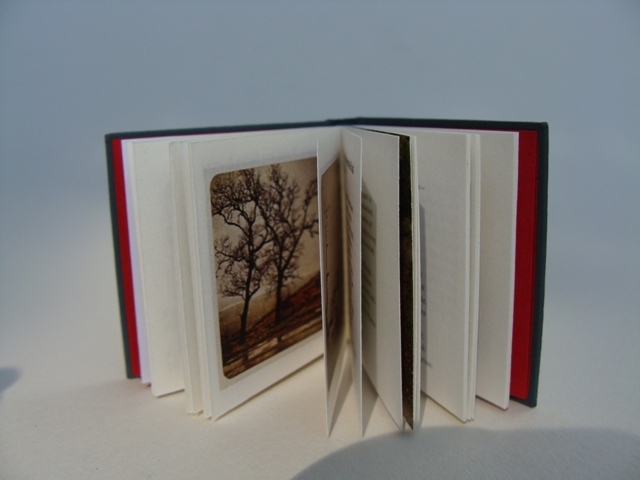 Each page is illustrated with pictures and borders. The printing is crisp and easily legible. 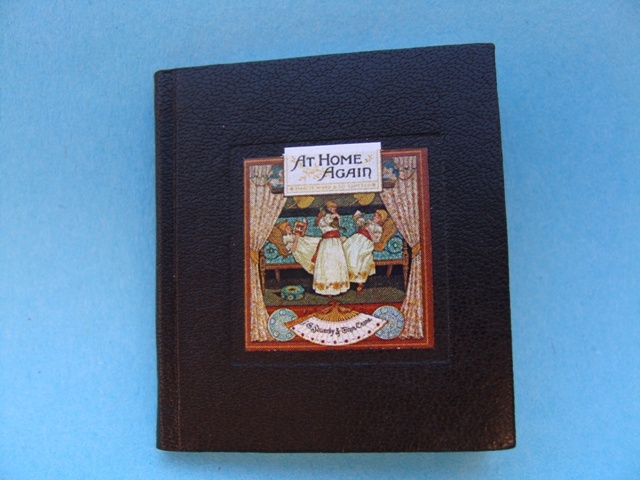 The cover is dark brown leather and there is an imprint on the front cover which surrounds the cover picture. Each book is numbered, dated and signed. 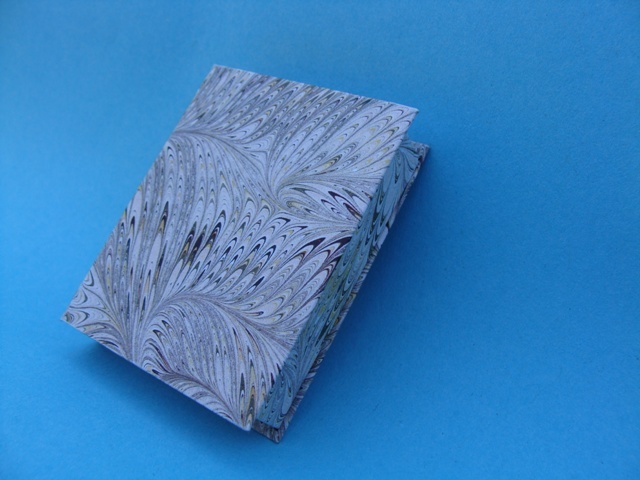 The original marbled papers used for end papers were made by Jemma Marbling in the UK. 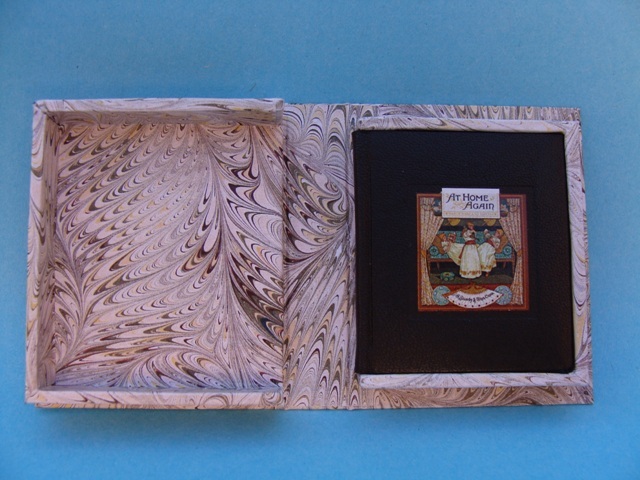 and the same marbled paper design is used for the presentation clam-shell box. Please note colour of leather and end papers may vary. The book alone is $40 US. 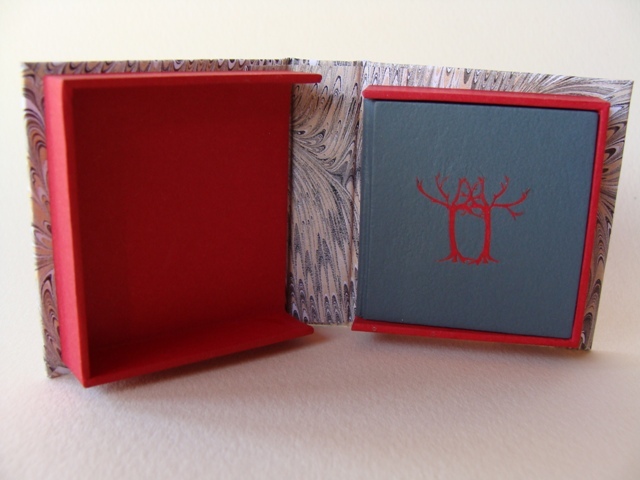 With presentation clamshell box $70 US.